A WhatsApp alert warning of a potential ISIS threat has been branded false by the Singapore Police. How will this affect HR and what should you do? Rumours of a potential ISIS attack and a nationwide security lockdown are “completely false”, the Singapore Police Force said today. 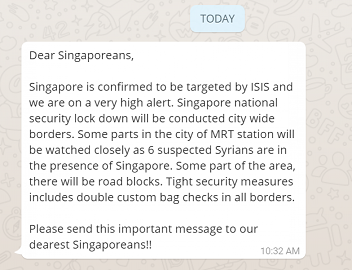 The warning message, sent via WhatsApp, says Singapore is to be targeted by six suspected Syrians working for ISIS. It warns of border lockdowns, road blocks and bag checks. The police said whoever was spreading these rumours was “totally irresponsible” in a statement on their Facebook page today. 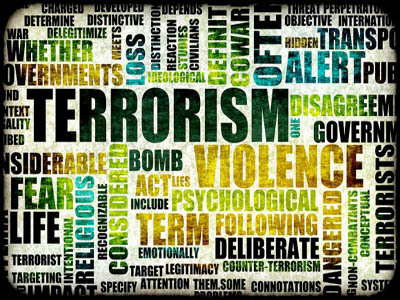 Employers should remain calm as the situation is normal at the present time. If anyone in your company has seen this message, there is no need to send people home, cancel meetings or take any other type of emergency action.